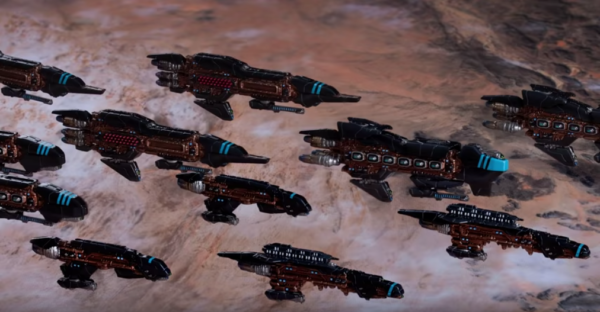 These images are all from screen caps of their Youtube video but it was a nice little production to show off the announcement of a brand new Resistance Fleet for Dropfleet Commander. While we’ve suspected a Resistance fleet was coming, it’s nice to see the faction actually happening. Most of Salute was focused solely on this announcement so nothing really new came out for Dropzone news except for fan questions from the booth staff. Since those aren’t announcements and news is disjointed, it’s disappointing that we’re all still left in the dark. Supposedly, the models will be highly modular with large sprue bits to combine ships into many different combinations. 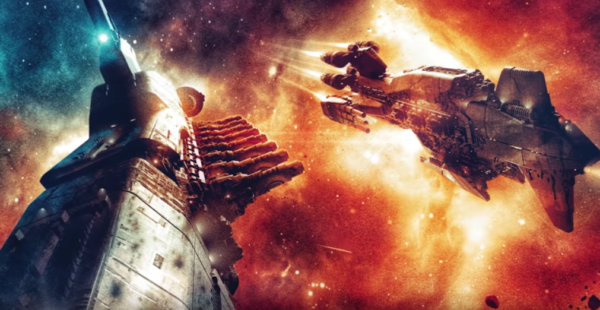 I don’t know enough about Dropfleet to know about some of the other news as it deals with the mechanics of how they play but the thought sounds like they will be pretty glass cannon-like and maybe focus on fighter ships as well. 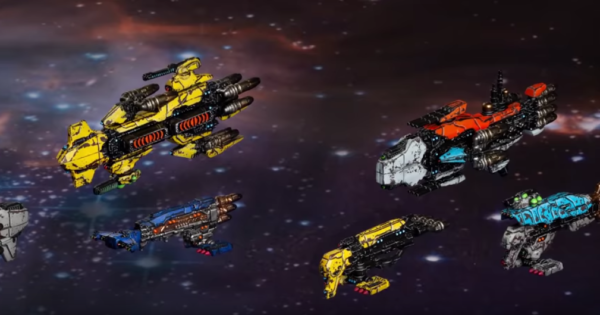 Like Dropzone Commander, they are billing these fleets in two sub-factions: the Vega Scrapfleet and the Kalium Kabal. Supposedly, an app or information sheet may come out to help players build their ships (due to so many options). This sounds odd and maybe confusing but it could turn out well and fun too. Like most things from this company, we’ll need more information to really judge. 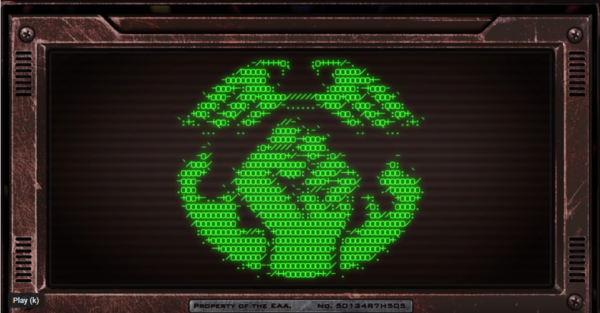 While a new Dropfleet faction for Resistance is very welcome after telling the faction’s players there was no chance of including them, Salute was ultimately very disappointing. We’re still no closer to know what or when anything will happen with Dropzone. Hopefully TTCombat will give some more information on their website but for now, we’re still stuck in “between edition” limbo.